Are you constantly plunging your toilet? Backed up toilets are not only gross but highly unsanitary, and can cause a variety of problems to your home and business. Throwing away object- Gold Star Plumbing Service stresses the importance of never throwing away objects in the toilet. This is the number one cause of clogged and backed up toilets, which can be easily avoided. Cleaning the toilet- Toilets should be regularly cleaning with disinfectant to ensure that bacteria and germs are not spreading. Individuals should also invest in disinfectant that will dissolve any waste located in the pipes. Foreign objects- Gold Star Plumbing Service encourages individuals to always have the lid of the toilet down to prevent foreign object from falling in. Follow these tips to keep those toilets running clean! If you should need Gold Star’s services contacts us anytime. 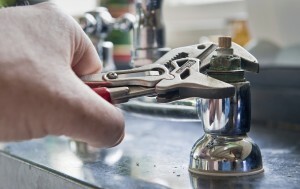 For more information about how we can solve your plumbing issues call Gold Star Plumbing Service in Anaheim, CA at 714-624-2546 or visit www.gsplumbingservice.com. Gold Star Plumbing Service also proudly serves Anaheim, Orange County, Santa Ana, Tustin, and surrounding areas. This entry was posted in Backed Up Toilets, Plumbing Services, Residential Plumbing Service and tagged Backed Up Toilet, Gold Star Plumbing, Orange County Plumber, Residential Plumbing Service. Bookmark the permalink.